Earlier this year I wrote a short piece called For Want of Wonder about curiosity, creativity and innovation. I was reminded of this when I picked up the November 2017 edition of The Atlantic and read The Secrets of Google’s Moonshot Factory by Derek Thompson. 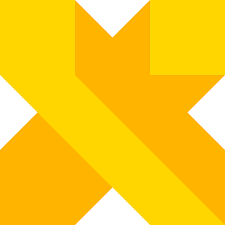 In the article, Thompson describes first-hand the inner workings of X, the so-called “moonshot factory” at Alphabet, Google’s parent company. The creative minds at X labor for hours over getting the questions right before they ever talk about breakthrough ideas. To wit, Thompson had posed a simple question: “Should we build houses on the ocean”. He expected the X think-tank team to dive right into brainstorming and whiteboarding ideas around floating houses or livable pods in the San Francisco bay. Instead, the group launched into an interrogative exercise, asking questions around such things as the economic benefits of increasing housing supply, the pros and cons of residential density, and Americans’ cultural preference for suburbs. Now this may seem intuitively obvious. You have to know what to ask before you can come up with answers. Right? But more often than not, in practice, we want to jump to solutions before we’ve done the hard (sometimes even excruciatingly difficult) work of getting the questions right. Not just asking questions … but making sure we’re asking the right questions. The highly diverse team at X consider over a hundred ideas each year. Only a handful turn into projects. Some, like Waymo, are getting traction. Others, while in the early stages, show promise. Others not so much. But the one common thread running through them all is the relentless search on the front end for the right questions.